UPDATED, April 17, 2:25 p.m.: More than six months after buying out her partner at Premier Sales Group, Carolyn Block Ellert is joining Compass to head its development division in Florida. Ellert is now managing director of the company’s new development wing, based in Compass’ Fort Lauderdale office at 1200 East Las Olas Boulevard, according to a release. She’ll oversee projects in the southern half of the state. Ellert bought out her ex-business partner Laurie Ingber in September to become the full owner of the Fort Lauderdale-based Premier Sales Group. 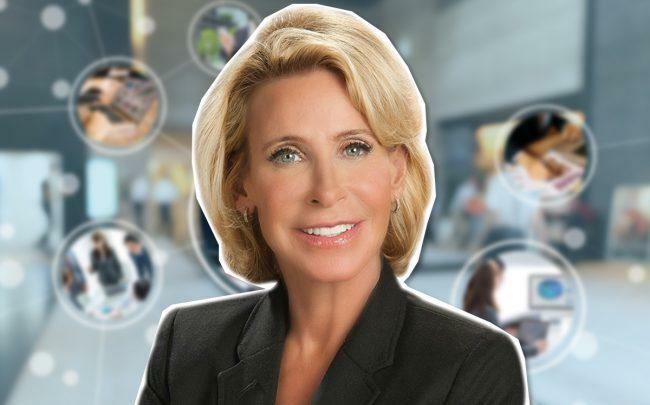 Ingber said at the time she had joined Mattamy Homes, the largest privately owned home builder in North America, to lead sales and marketing of its new Southeast Florida Division. As owner and CEO of Premier, Ellert was involved in luxury condo and condo hotel sales totaling more than $4 billion. She co-founded the company in 2000 and worked on selling Fort Lauderdale projects that included The Brazilian Court Palm Beach, Las Olas Riverhouse, Sapphire and the Atlantic Hotel. Ellert was also previously a director of sales for the Sunshine Group in New York and launched the company’s South Florida division in 1993. Ellert will keep ownership of Premier Sales Group but will focus her new development efforts on Compass, according to a spokesperson. Ellert is also the current and founding chair of the Master Brokers Forum’s Gold Coast chapter. Compass’ development division is handling sales and marketing of Amrit Ocean Resort and Residences in Singer Island, 6080 Collins Avenue Beach House in Miami Beach, and Aquavue and Aquablu in Fort Lauderdale, among other projects. Earlier this year, Compass expanded in Palm Beach with the acquisition of Hall Real Estate, an 11-agent boutique firm led by broker Steve Hall, and brought on Elizabeth DeWoody, a top producer at Corcoran Group. After expanding nationwide last year – increasing from 37 markets to 122, hiring over 1,000 employees and signing on almost 6,000 new agents – Compass CEO Robert Reffkin said the brokerage won’t enter new markets this year, instead focusing on hiring and growth in its current markets.